Moving to Fort Worth, Texas? Declutter with the Kids Before You Go! Everything is bigger in Texas, but this doesn’t mean your home needs to be cluttered with excess belongings! As more families move to the Dallas and Fort Worth metropolitan areas, the need for self-storage and decluttering solutions is growing. A storage unit with flexible options will help you clear your home and better prepare you for the move. Packing and straightening up can be a group effort. Kids can help parents sort through their belongings before a move, especially if their treasured toys are involved. 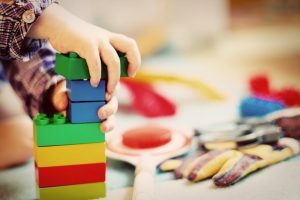 Did you know that Parenting.com supports addressing, what they call, “toy overload?” Research shows that, with fewer toys immediately accessible, kids will be more creative in coming up with activities and games to play. Check out the following tips for getting through the process without any fuss or tears! Before you move, hold a family meeting to talk about the organizing, packing, and decluttering process. Let everyone state their concerns and expectations and set up a game plan. In addition, suggest your kids give their older toys away to another child who would like playing with them. For example, maybe they have 25 stuffed animals and it may be difficult to play with and take care of so many, propose they choose 5 of their favorite stuffed animals to keep. 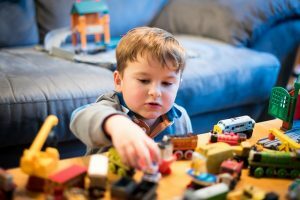 Additionally, try associating their old toys and clothing with a certain age group and recommend they offer some items to a child younger than them. When children resist donating their belongings, it usually stems from feeling the decision is out of their control rather than actually wanting to keep something. Giving them a sense of power over making the choice to declutter will help with the process. After a good discussion, kids will be more likely to pass their toys and clothes on to another child. During the decluttering process, you may decide to store some of your child’s items for their younger siblings or as keepsakes. Self-storage is the perfect solution for this. Having a storage unit available during the decluttering process can bring peace of mind. Not only does storage units help keep your home clutter-free, well organized stored items can be easily accessed at any time. At Bargain Storage, we have four convenient storage facilities in the Dallas / Fort Worth area. If you’re planning to relocate to Texas and need a short or long-term self-storage solution, a member of our team can help you figure out the best unit for your needs. We offer climate-controlled storage that beats the Texas heat as well as boat, RV, and camper spaces. Give us a call or contact us online with any questions you may have!